. 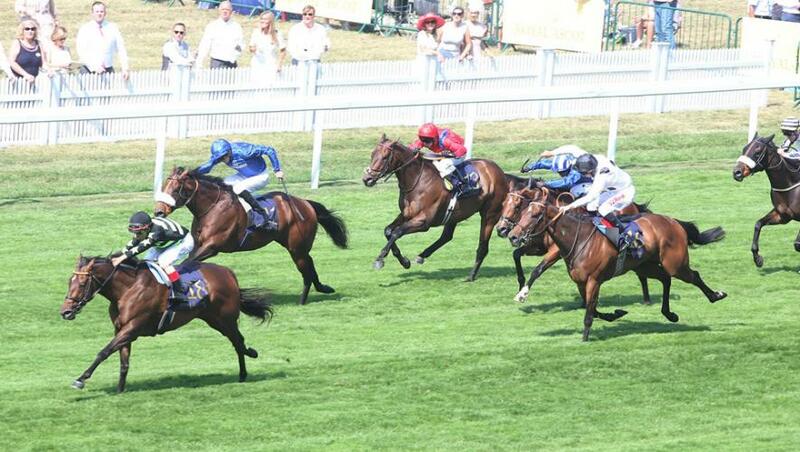 :: Profitable heads Godolphin Challenge on Day three of York’s Ebor Festival ::. Profitable (Clive Cox/James Doyle) lines up in the five-furlong G1 Nunthorpe Stakes, the highlight of day three of York’s Ebor Festival, Friday, August 25. The five-year-old horse has run well on all three of his starts in 2017, finishing second over five furlongs each time. Profitable was beaten two and a quarter lengths by Battaash in the G2 King George Stakes at Goodwood on August 4. The Invincible Spirit horse finished the three-length runner-up to Lady Aurelia in the G1 King’s Stand Stakes at Royal Ascot on June 20 and began the year when going by two lengths to Signs Of Blessing in the G3 Prix de Saint-Georges at Deauville on May 13. Profitable was successful three times last year, headed by his victory in the G1 King’s Stand Stakes at Royal Ascot. Clive Cox, his trainer, remarked: “I am very pleased indeed with Profitable. “We are drawn two away from Lady Aurelia in stall three, which I am very happy about as we are drawn on the side where the pace is going to be happening. “At Royal Ascot, we were drawn on the opposite side to Lady Aurelia and we felt at the time that it would have been nice to have had an opportunity to stalk her. Hopefully, we will be able to do that more ably at York. Profitable’s 11 opponents in the Nunthorpe Stakes include Lady Aurelia and Battaash, plus G1 Prix de l’Abbaye scorer Marsha. Godolphin’s Jungle Catinfo-icon (Charlie Appleby/James Doyle) and Toscanini (Richard Fahey/Paul Hanagan) are due to run in the G3 City Of York Stakes over seven furlongs. Five-year-old Jungle Cat was last seen when finishing 12th in the G2 Lennox Stakes, over the same distance at Goodwood on August 1. 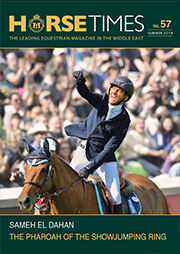 The Iffraaj horse was successful by five lengths in a seven-furlong conditions race at Haydock Park on July 22 and also captured a six-furlong conditions race at Meydan, UAE, in March. Charlie Appleby commented: “Jungle Cat seems to have enjoyed the step up to seven furlongs. Toscanini has raced exclusively over a mile in five starts this year, often running in the same races as stable companion Ribchester, and finished fifth in the G1 Sussex Stakes at Goodwood on August 2. The five-year-old son of Shamardal is proven over shorter distances, having captured the G3 Phoenix Sprint Stakes over six furlongs at the Curragh, Ireland, in August, 2016. Richard Fahey said: “Toscanini is in good order and we are very happy with him. “I think dropping down to seven furlongs is going to be a huge positive because he has got plenty of speed, even for six furlongs. A maximum field of 20 could face the starter in the City Of York Stakes, including triple G1 scorer Gordon Lord Byron, G3 winner Mix And Mingle and G1 1,000 Guineas third Daban. The third day of the Ebor Festival opens with a handicap over just short of a mile and a half. Godolphin is represented by the Saeed bin Suroor-trained pair of Game Starterinfo-icon (Pat Cosgrave) and Red Galileo (Daniel Tudhope). Game Starter, a three-year-old Dubawi colt, has triumphed on both his starts this year, most recently when taking a 10-furlong handicap at Newmarket on August 4, while six-year-old Red Galileo, also by Dubawi, began the year with victory in a 14-furlong handicap at Meydan, UAE, and was last seen out when a staying-on second in a mile and a half handicap at Ascot on July 28. Syphax (Kevin Ryan/James Doyle) runs in the concluding contest at York on Friday, a mile handicap for three-year-olds. Successful at this meeting last year in the seven-furlong G3 Acomb Stakes, Syphax came home eighth in a Listed race over a mile at Newmarket on July 13.